Tim Horton, NSW Architects Registration Board registrar and director of the Sydney Architecture Festival says, “2018 is a supernova for milestones in Australian architecture". "With major anniversaries for the Sydney Opera House and Australia’s Parliament House coinciding with plans for the 100th Anniversary of architecture teaching at Sydney University, the 12th Sydney Architecture Festival looks at our opportunity to preserve, protect and renew the enduring legacy of these modern monuments for future generations." According to the organisers, the festival’s events will unfold over four days from Friday 28 September to Monday 1 October with a program of talks, tours and exhibits throughout the weekend of Saturday 29 and Sunday 30 September, and will be bookended by the Architecture Symposium on Friday 28 September and World Architecture Day on Monday 1 October. • Poisoned Chalice to Social Icon: An Accelerated History of Sydney Opera House – The story of the Sydney Opera House – including the events surrounding the departure of Utzon – are well known, but architectural historian and author Dr Anne Watson’s research reveals a deeper story full of intrigue. Ongoing collaboration between the exiled Utzon and Peter Hall’s local team produced the remarkable building we know today – a global icon that continues to grow in status and recognition. Combining digital ethnography and data analytics, Dr Cristina Garduño Freeman shares a new way to measure the social value of architectural icons – with implications for World heritage. Join us for an accelerated history of Australia’s most famous building – from poisoned chalice to social icon. • What Makes a Building Truly Great? – Three masters of Australian architecture share a lifetime of lessons in the enduring qualities of great design. This panel discussion features Australian Institute of Architects Gold Medal winners Richard Leplastrier, Brit Andresen and Peter Stutchbury. 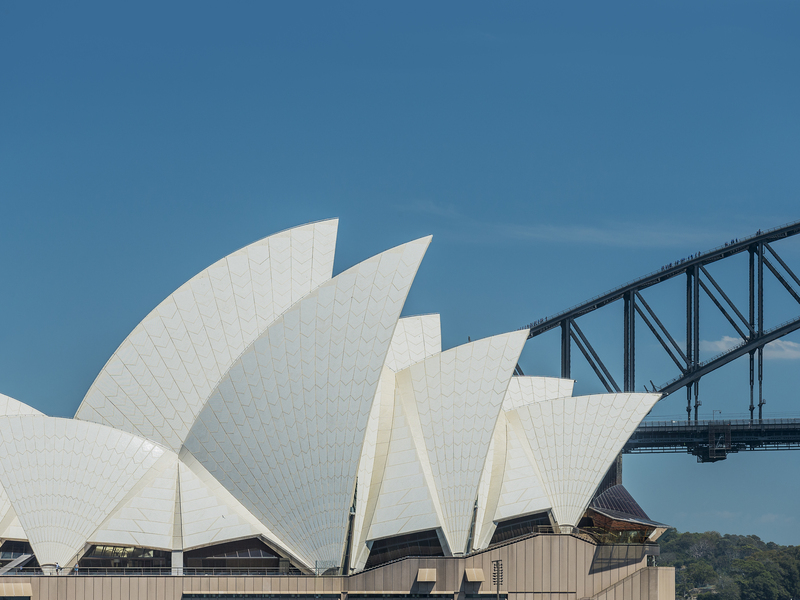 • Repeating the Feat – Sydney Opera House Renewal – find out how this wonder of 20th century architecture will meet the demands of the 21st century and beyond. Join us as we hear from the four architectural teams involved in the renewal program of the Opera House including Scott Carver, Tonkin Zulaikha Greer, Grimshaw Architects and Ashton Raggatt McDougall. • Beyond the Fence – Secrets of Australia’s Parliament House – It is 30 years since Parliament House opened and one of its original architects Ric Thorpe AM shares untold stories with one of Australia’s most loved media presenters, and host of ABC TV’s The House, Annabel Crabb. Together they reveal never-before-shared stories from inside the design competition to the challenges of constructing a building so large it exceeded all building rules at the time. • Why Architects Matter – Professor Flora Samuel’s tome of the same title is heralded as the new manifesto for design professionals, one that renews the call to action for a better built environment. In this address, you’ll be rewarded with Prof Samuel’s research and criticism as Vice-President for Research at RIBA and Professor of Architecture in the Built Environment at the University of Reading, UK. • Ethics in an Age of Excess – Buoyed by record economic growth, Australian architects are enjoying a bulging order book with many riding the wave of game-changing infrastructure, landmark commercial towers and luxury homes that have-it-all. Yet, this is precisely the time to ask whether architecture still has a social purpose, and a responsibility for public good? This panel discussion is led by executive director of St James Ethics Centre Dr Simon Longstaff AO, Professor Flora Samuel, critic Laura Harding and architect Shaun Carter. • MADE in Action – Presented by alumni of MADE by the Opera House (an exchange program offered to Australian and Danish students of architecture, engineering and design), this exhibit shares some of the ingenious methods that made the Opera House an amazing feat of design and engineering that changed the world. • Mies on Scene: Barcelona in Two Acts – In homage to the power of great buildings, Sydney Architecture Festival screens this award-winning art film in collaboration with the Mies Van Der Rohe Foundation and the Catalan Architects in Australia. The documentary explores the enduring mystique of the Barcelona Pavilion, a temporary structure that changed the history of architecture. The internationally-renowned orator chosen for World Architecture Day will be writer, publisher and architecture critic Karen Stein. A member of the jury for the Pritzker Architecture Prize, co-chair of the Architecture and Design Circle at the Museum of Modern Art, and a board member of the Architectural League of New York, Stein was editorial director of Phaidon Press, a leading international publisher of books on architecture, art, design and photography, and also managing senior editor at Architectural Record. She has received several awards for editorial excellence including the McGraw-Hill Companies Corporate Achievement Award and a special citation by the American Institute of Architects. So what makes a building truly great? Well, Sydney has quite a few examples and considering that it’s the 45th anniversary of the opening of the Sydney Opera House, and also the 30th anniversary of Canberra’s Parliament House, there will be plenty to talk about at the Sydney Architecture Festival.